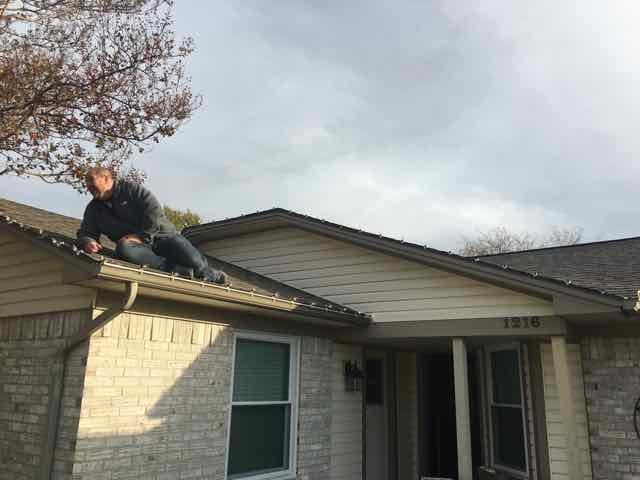 Here is a photo we just received from Nate, one of our customers, installing C9 incandescent bulbs along his roofline. 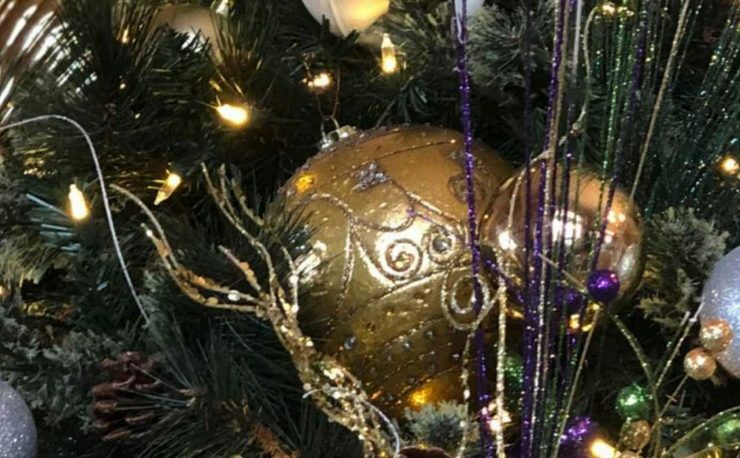 He’s installing 200 feet of lights on his 3-bedroom two-baths 1750 square foot home. 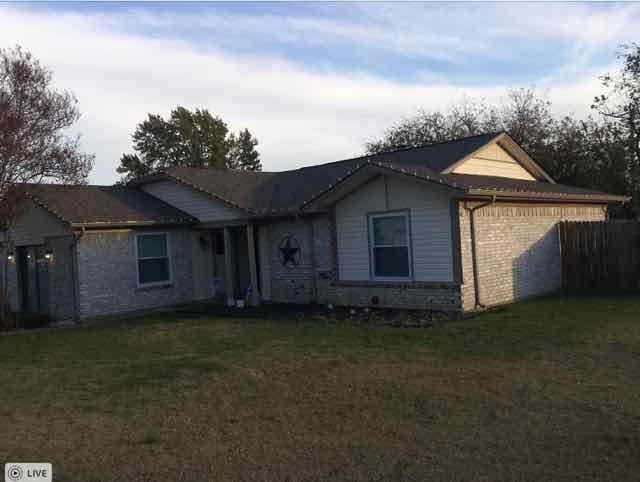 How many lights do I need to outline my roof? The long and most accurate answer is measure and calculate your required linear footage along your roofline and gutters. 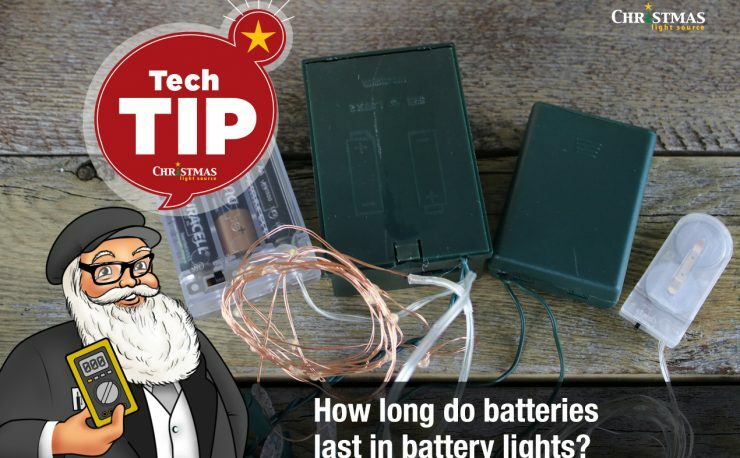 The easy answer is, if you don’t want to take time to measure, start with 200 feet of lights and add on if you need to. 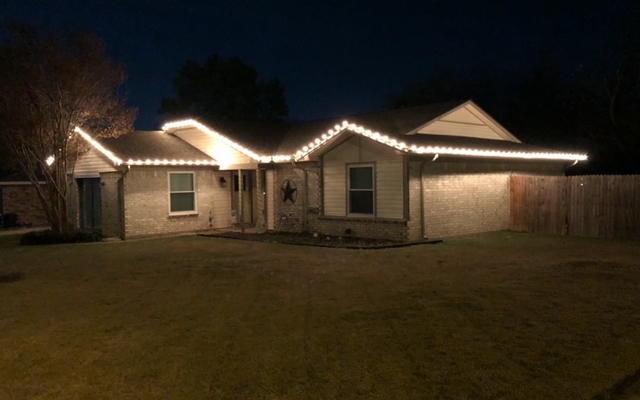 The lights are installed across the front of the house, including a small extra area of elevation and wrap around the sides plugging in at each of the back corners of the house. Easy, peasy. This is a great place to start for most folks. Now Nate just needs a few curtain lights on those fences….. 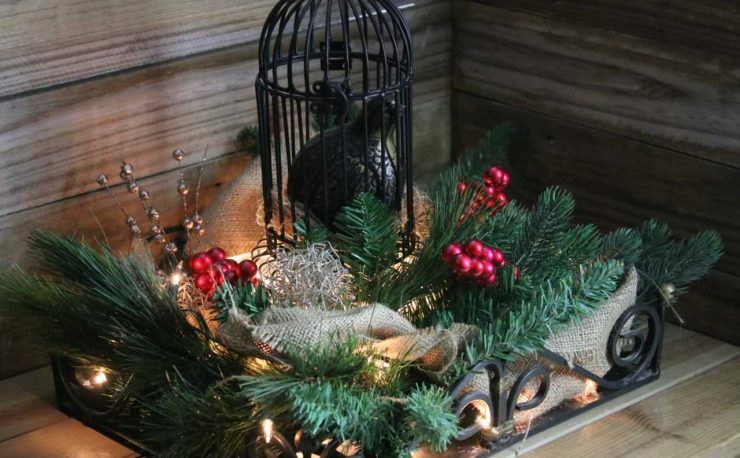 Enjoy our Christmas lights preparation tutorial as you plan your Christmas light display. 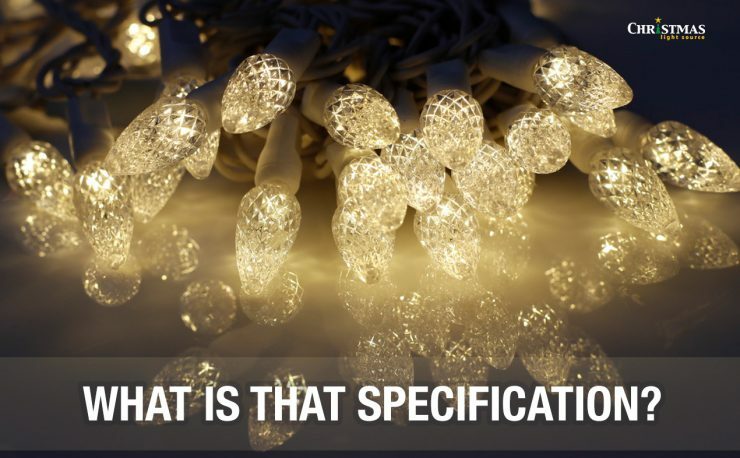 The first key to installing Christmas lights like a pro is to measure before purchasing. Take proper precautions as you measure and if you find heights unsettling, you might consider calling a local roofing company to help with installation since winter is usually the offseason for many contractors. Tie yourself off when appropriate and practice good “ladder habits” to avoid unnecessary and dangerous falls. Let’s pretend you choose 15 inch spacing bewteen bulbs for 300 feet of lighting. Second, divide your total project length in inches by the distance in inches between the bulbs. If you are ordering glass bulbs, be sure to order an extra box to account for breakage during replacement. Consider adding 10% to your calculations if you have done any guestimating or to account for small changes of plans during install. “Let’s run fewer lights than we planned”, said no one ever. 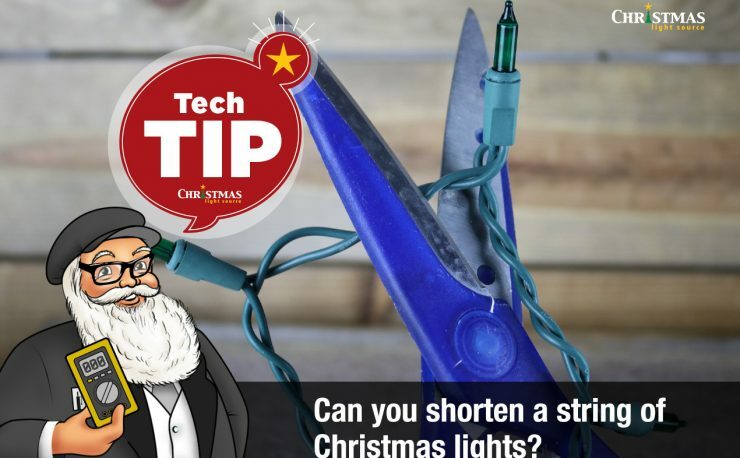 If you are using mini lights, LED string lights that are pre-wired, led or incandescent icicle or net lights just divide the lit length of the light string in feet into the total numer of feet. Be sure to round up to the next whole set of lights and consider adding an extra set for good measure. Sketch out a quick drawing of all the places you are planning to install lights. Make note of where outlets will be located and note where you need to roll up a light string to tuck it away at the end of a run. If you are using 18 AWG wire C7 or C9 cords, note where you will need to cut your cords. Plan for any plugs, outlet adapters and terminations you might need to have on hand. An hour or two in planning will save 10 times the time in extra trips to the hardware store and waiting on 2nd and 3rd packages to arrive. While you are out measuring, take a look at your surfaces to get an idea of what kinds of clips, stakes and hook you’ll need. We’ve gathered our hardware into easy to shop categories. Check out our application table for clips and hooks to choose the clip that’s tailored to your job. A good choice of hardware can make your job go smoothly and easily. We hear every day from folks who are installing lights for the first time or for the first time on a new home. Take a few steps before you purchase to make installation simpler and easier.